Diggin, Volume 1 is a DJ Premier discography playlist. Diggin is a brand new series of playlists digging into the production history of different music producers and beat makers, presented by BDTB and Deckademics DJ (and Production) School – based out of Indianapolis. These playlists are and will be a thorough look through time – into the work of different music producers, and document their production discography – including songs they’ve produced, co-produced, remixed, and/or simply released as an instrumental. The songs added are available on multiple digital streaming services, including Spotify, Apple Play, YouTube and Soundcloud, and we’ve organized them from earliest work to the most recent releases. The very first producer on our list is one of the all time greats, DJ Premier, and we have over 42 hours of music and more than 500 different songs for you to stream through. DJ Premier may possibly have one of the most thorough discography’s of any hip hop producer out there, and he’s been active since the late 1980’s. Read more and stream the full playlist below. DJ Premier, best known for being one half of the rap duo Gang Starr, is a DJ and record producer. DJ Premier has produced almost all of Gang Starr’s tracks as well as tracks for many other groups and solo artists since the 1990s. He has produced tracks for such artists as Jay-Z, Big L, Notorious B.I.G., Nas, M.O.P., Jeru The Damaja, KRS-One and Mos Def. 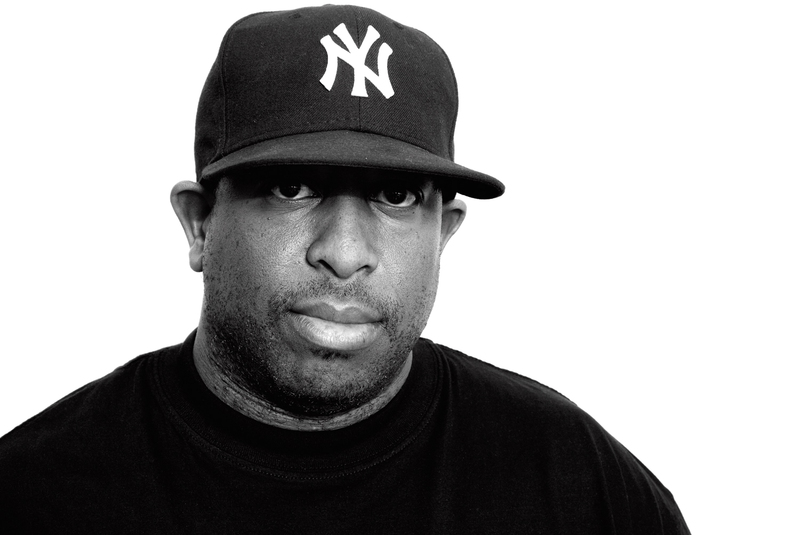 DJ Premier’s style of production is considered “underground” Hip-Hop or “alternative” Hip-Hop. He is known for sampling Jazz artists, as well as sampling an artist’s past work, when he is creating a new track for that same artist. Further he is known for combining small vocal portions from multiple artists to make one hook on a track he is producing. This creative technique has made him one of the most sought after producers in Hip-Hop. DJ Premier’s name refers to his claim to be the first and the best in his style. His original stage name was Wax-Master C, the “C” coming from his real name. Disclaimer: If there’s any song on here that we missed or needs to be added that you can find online, feel free to drop us a comment and we’ll add it to the list! Putting these playlists together is quite tedious, and it’s hard to find some of the older tracks. We’ve added full-album streams when possible, so some songs may be included in that stream.